If you are using an Android powered smartphone for a long time, then you must be bored of watching the same style of font every time. The default font for Android is pretty good and easier to read things, but if you think that you guys need to change the font, then you can easily do it. There is the built-in option for changing the font in Android all versions but there are not many fonts pre-installed, so you need to download the fonts and then need to install then on your smartphone. There are two ways to change fonts on your device. The first one is to use the system’s default option to change fonts, that of course, does not require your device to be rooted. The second way is to use a root-only app that does the task for you. 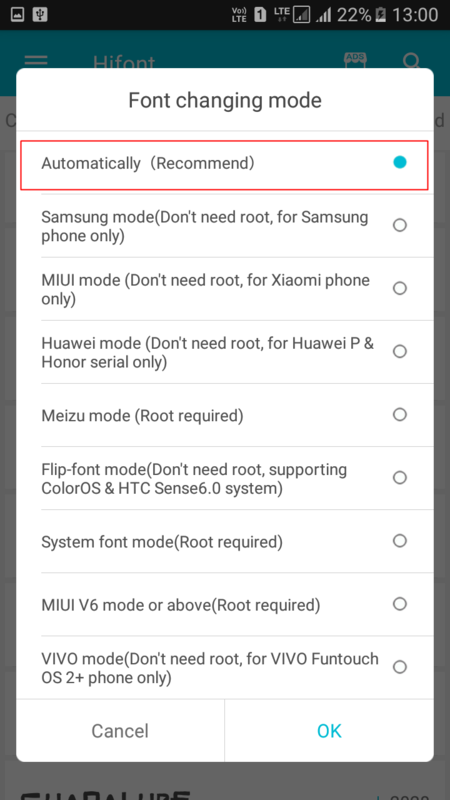 So depending on the root status of your device, choose one of the ways below accordingly. Step 2. Secondly, you have to install GO Launcher Fonts from the Play Store or by clicking the button below. 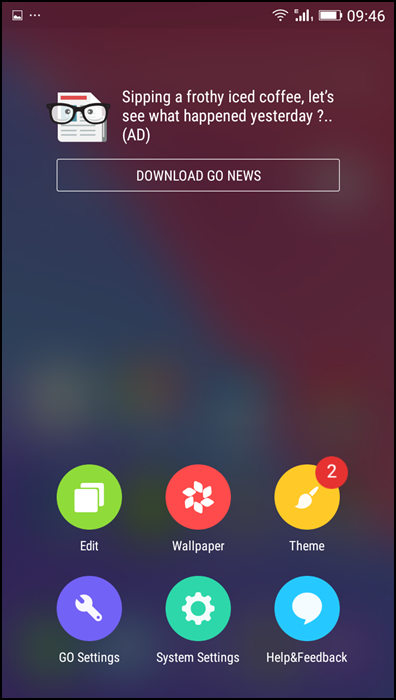 GO launcher font is an Amazing App that provides different fonts. Step 6. Now you will see the list of fonts then select the font of your choice. You need to click on “Scan font” to see your downloaded fonts. Step 2. 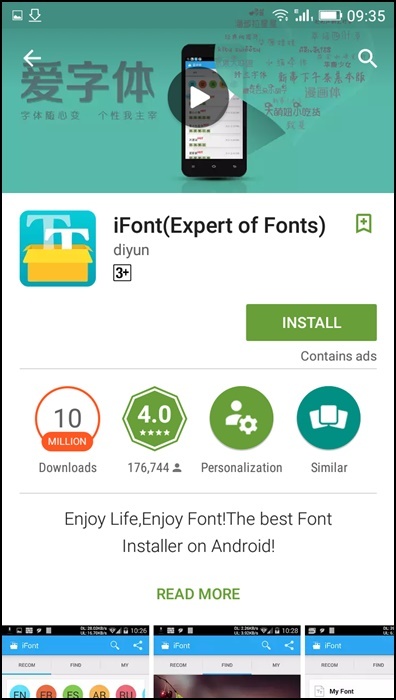 Download and install an iFont application. Step 3. 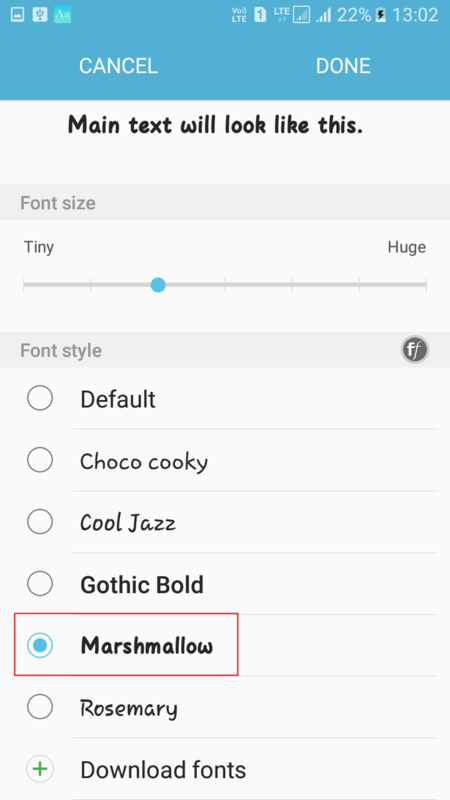 Open the iFont App, and you will get a list of available fonts for your device, select and install any font on your Android. Step 5. After clicking on the set, iFont application grants Superuser permission, then click on Allow permission. Now your device starts to reboot and after that font style successfully changes. Enjoy !! Note: If you have own ‘TTF‘ font file copy it and paste on your SD card, then click on Custom > Select your ‘TTF‘ font file from your SD card. Step 1. 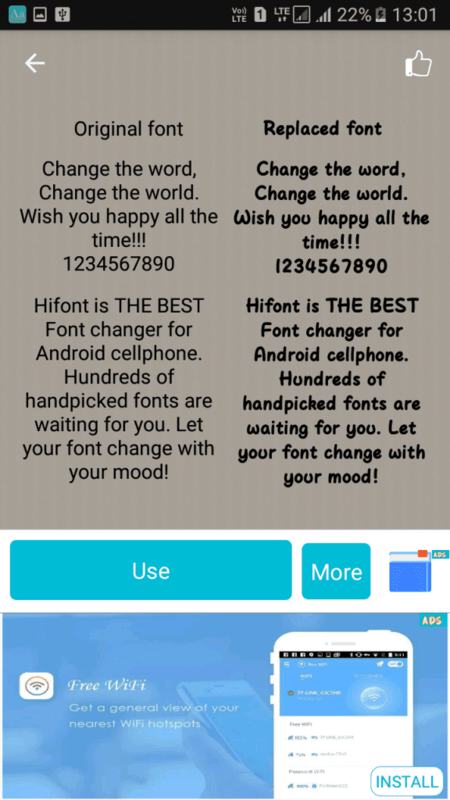 First of all, download and install HiFont on your Android device. Once installed, open the app. Step 2. Open the settings panel and then change the Font Changing mode to “Automatically” which is recommended. Step 3. 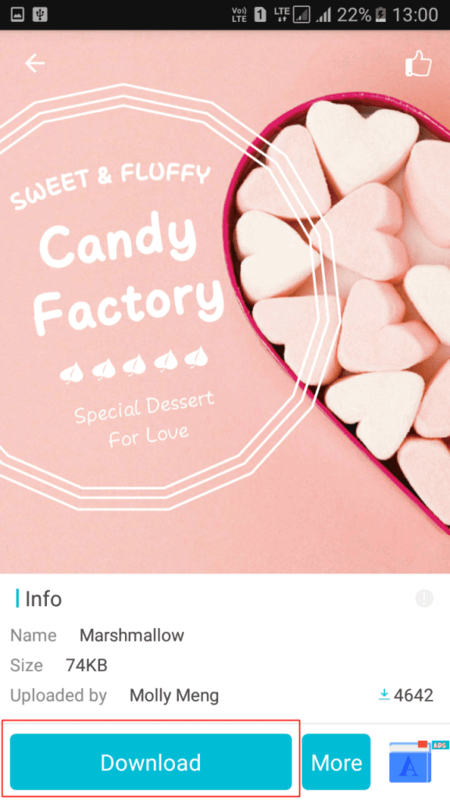 Now you need to choose the font that you want to install on your Android operating system. Simply choose and hit the “Download” button. Step 4. Once downloaded, you need to tap on “Use” button. Step 5. Now you need to move to your Phone’s settings> Display> Fonts. Here you need to select the downloaded font. That’s it! You are done. This is the easiest way to change your Android font style. Note: Not all fonts will be supported because some of the fonts will only install on your device if it’s rooted. 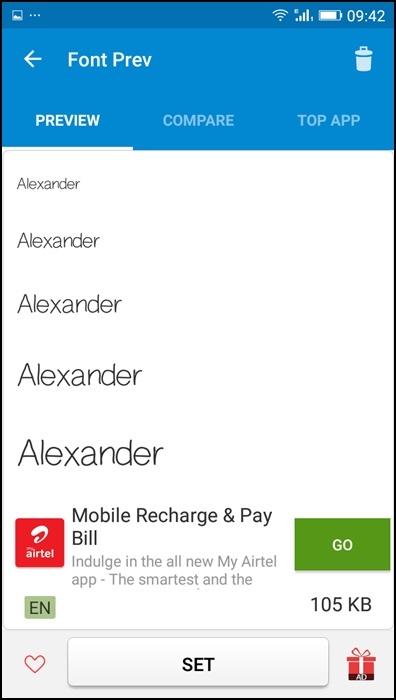 Now you can change your Android device’s fonts style anytime. 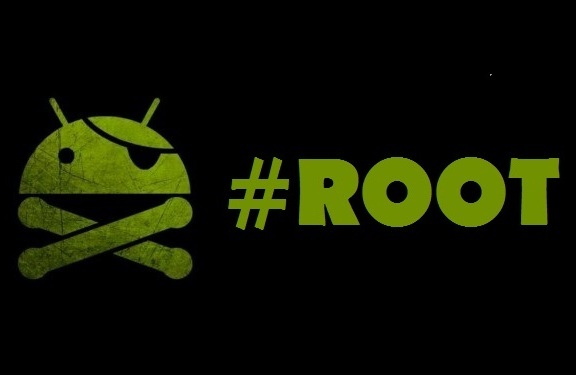 So these are easy and best methods to change a font on Android device with or without rooting. There are many other various apps and ways to change Android device fonts. We only explain which are easy to use and implement. I hope you like this method for changing Android font, don’t forget to share it with others. Did these instructions help you out? Let us know which font you’re using on your Android device in the comments below!